Cordelia Hills Elementary PTA - Movie Night! Come join our Coyote Families with a movie!! 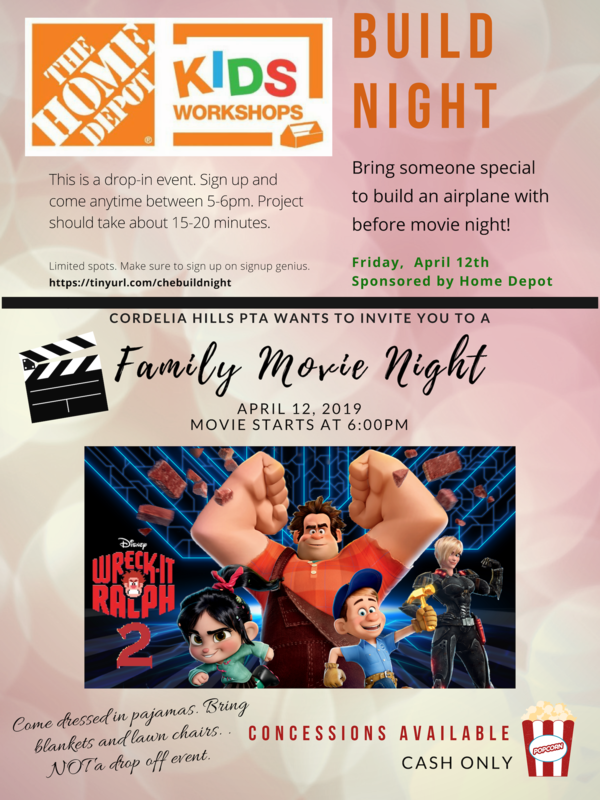 The PTA is proud to present Wreck It Ralph 2- Ralph Breaks the Internet for our next movie night. We had a great turnout for our first movie night in September and would love to see everyone back again. Bring a beach chair, some blankets and come in your comfy PJ's and hangout! Hope to see you there. Admission to the movie is free! PTA will have concessions available as well. Cash only.